MPC Law is one of the most recommended personal injury experts in Ontario. Our experts have recovered tens of millions of dollars in compensation for injury victims and their families from all over the province. If you or a loved one has been injured in Ontario, you deserve compensation. 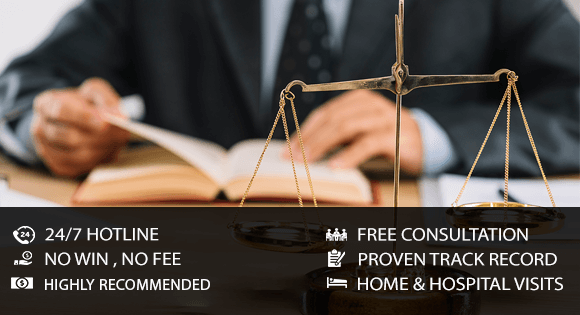 Contact MPC Law today for a free, no obligation consultation, and find out what some of the best legal minds in the province can do for you. We have decades of experience helping personal injury victims in Ontario. Our diverse team includes professionals who bring different specializations and skills to our practice. Our experienced accident experts are well recognized for their accomplishments. Our personal injury experts have more than 75 years of combined experience. Standing behind them is an experienced team of skilled professionals including paralegals, medical specialists, and legal administrators. Team members come from all over the world and work and live throughout southern Ontario. We have helped clients from all walks of life in many different languages. We care deeply about our clients and the communities they come from. We believe in professional and courteous approach, and a personal touch with client satisfaction is of utmost importance. We further believe that a satisfied client will always spread the word about our good work. With MPC Law in your corner, you can be confident your case is in the hands of the most dedicated legal professionals in Ontario. Our commitment to our clients is our promise, our no win - no fee guarantee means that if we do not win your case you do not have to pay.